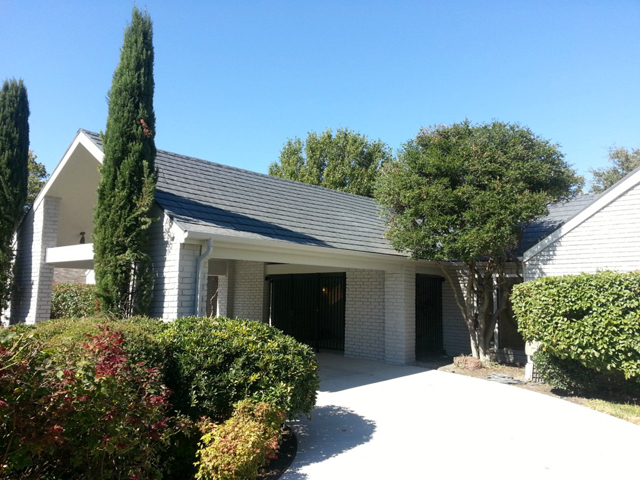 The home at 3808 Townsend Dr. is one of four we’re featuring in our weekly open house roundup. The weekend approaches, with lots of open houses in the Dallas area. 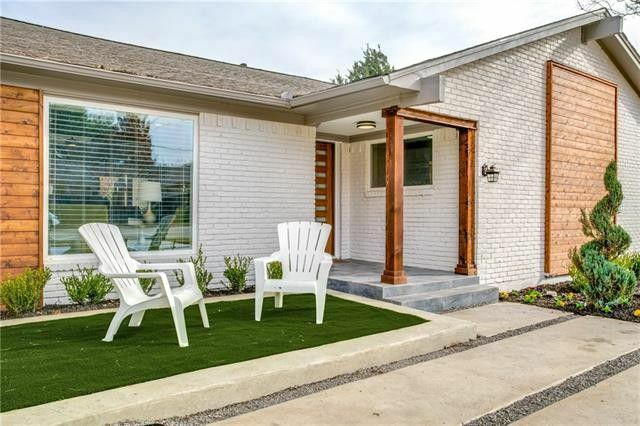 We’ve found five stand-outs for our weekly round up of open houses, ranging from a Royal Park contemporary to a Hollywood/Santa Monica Tudor. They range in price from $275K to $767,700. Let us know if you’re planning on visiting any and what you think! From the curb, this home looks like an art installation. 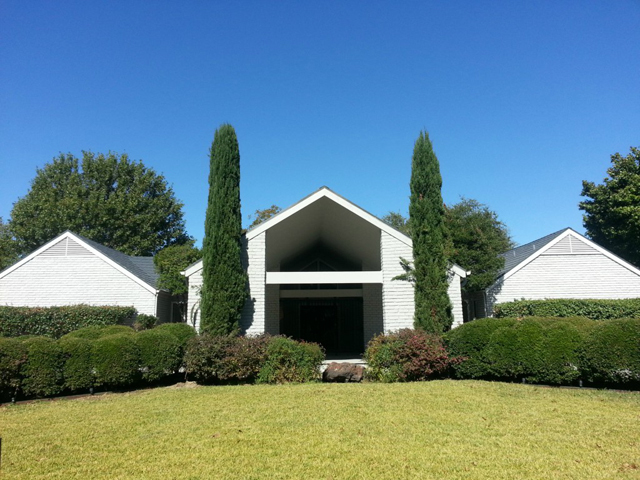 Three perfectly pitched roofs, entirely symmetrical with landscaping to match. The obsessive-compulsive in me just swoons. 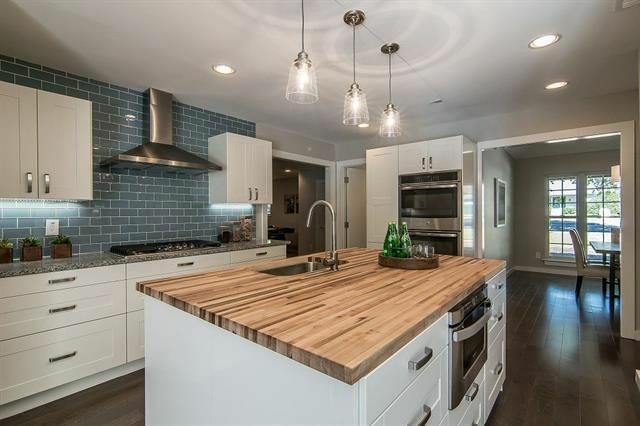 And while the home is stunning from the outside, some unique finishes and an amazing commercial-grade kitchen lend it the kind of character that some buyers love. 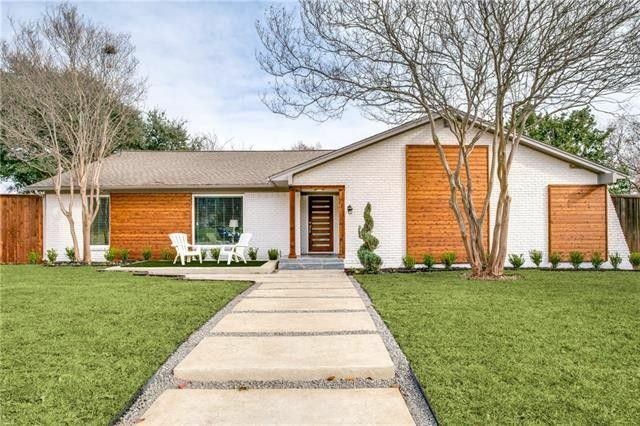 Let’s pull up to the four-car porte-cochere in front of this 1970s soft contemporary in Prestonwood and take a look inside.